“People always say, ‘When did you decide to be a writer?’ And I never wanted to be a writer. I just wrote.” That’s Ursula K. Le Guin, speaking in a clip from Worlds of Ursula K. Le Guin, an in-progress documentary about the award-winning science fiction and fantasy author. Filmmaker Arwen Curry’s been working on the project for seven years, and is now turning to crowdfunding to help complete it. 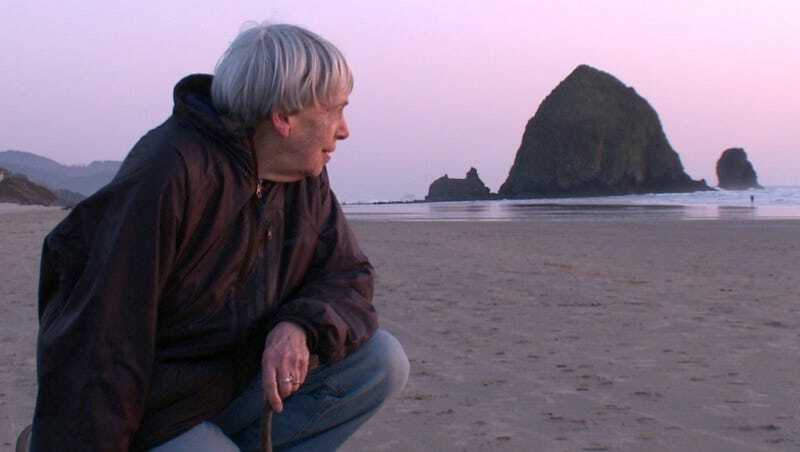 Le Guin’s story allows audiences to reflect on science fiction’s unique role in American culture, as a conduit for our utopian dreams, apocalyptic fears, and tempestuous romance with technology. More than ever, we need to perform the kinds of thought experiments that Le Guin pioneered, to ask how we should behave as our technologies transform us beyond the wildest dreams of our grandparents. Worlds of Ursula K. Le Guin, which will run about an hour long, is currently trying to raise funds to unlock a grant from the National Endowment for the Humanities. The campaign just began today and runs through March 4. The donor perks are pretty sweet, too—everything from signed books to a covetable tote bag decorated with Le Guin’s hand-drawn map of the world of Earthsea.